The programming at The Underground Center (UGC) blends critical inquiry with practical skill building experiences. The goal is for participants to not only develop their own practical skills, but to also collectively develop strategies of change that can be put into practice in personal life as well as in the greater community. Our programing is guided by an educational model that instills a sense of responsibility in people, specifically the young. Through the work, participants develop theory, create strategies, and apply them in the real world. The UGC’s internship is an 8 week program that runs from June through August. 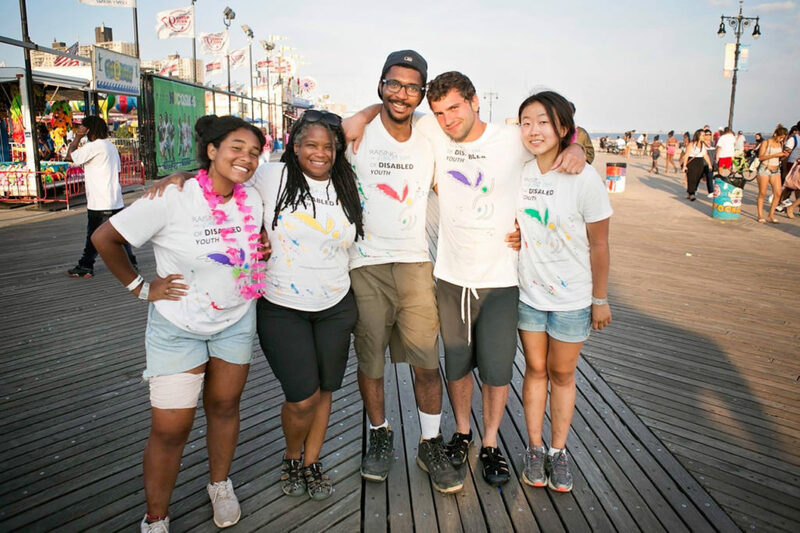 The purpose of the summer internship program is to to give participants a “crash course” in the knowledge and skills to become leaders in social justice and environmental movements. This immersive educational work experience is designed to introduce participants to our approach to grassroots social change. Interns will live on-site at our collective homestead and participate in a combination of physical and academic work which includes natural building, farming, strategic planning, documentation of systems and techniques, and running educational programs for kids. Traditionally, people looking to learn the skills we offer would have to pay thousands of dollars for these educational experiences. We believe this favors the economically privileged in learning these valuable skills. The internship at the UGC is designed to change the usual sustainability workshop culture. Our internship is completely free. Additionally, to make this workshop accessible to those who need to use their summers to make some money, we are offering a stipend to account for some of this lost opportunity for traditional paid work. 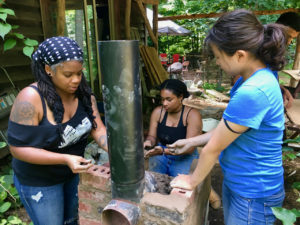 Upon completion of the program, interns will have gained knowledge that can be applied in multiple fields focusing on food growing, natural and conventional building, teaching and running educational programming, installing off-grid infrastructure, activism, and community organizing. An additional benefit of the internship program is the exposure interns will have to various local sustainability and social justice projects. 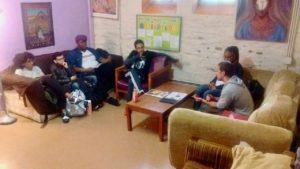 Our aim is to help connect potential leaders to these other grassroots organizations, facilitating opportunities for interns to remain in the area long term and join these established local groups. Regardless of where participants decide to go after the completion of the program, this internship is an excellent introduction for anyone who wants to become a valuable asset to a bottom up social justice movement in their community. It also can provide foundational knowledge for someone who wants to take leadership in creating a new movement. Lastly, it can be a great introduction for someone wanting to live simply and sustainably. The work completed during the eight week course follows our theory of experiential education which combines hands on work, traditional study and reflection to develop a strategic plan for change. Our goal is to develop theoretical unity as to what we should do and acquire the tools to accomplish this by learning the skills to make our ideals possible. The work is designed to empower participants to take responsibility while simultaneously building the habits to make collective change in real time. Experiential learning: Interns will utilize a hands-on “apprentice model” approach to learning how to build, grow, organize and live simply. From learn by doing to learn by teaching: Once skills are acquired through hands on work, interns will share what they know by helping to run educational programing for young people onsite and in the community. Shared inquiry: Interns will study in classes with the goal of improving our theoretical framework to guide the work at the UGC and beyond. Reflection and documentation: Interns will document our work through various forms of media. They will then take time to reflect and translate our work into strategies to share with others for free. How can we correct the destructive nature of racism, sexism, homophobia, transphobia, nativism (and others), that have prevented solidarity and aborted so many workers movements in the past? To the best of our knowledge, what are the coming decades going to look like socially/environmentally, and what kind of social/cultural, economic, environmental changes should we make to accommodate what the upcoming decades will look like? What are appropriate ways for settlers interested in social and environmental justice to become allies (if not accomplices) of indigenous people without furthering the settling of indigenous lands and the displacement of indigenous people? Gardening and Soil Building: An important component of the internship is learning how to grow food sustainably. We will introduce interns to our methods of soil building and intensive food growing that will become critical in the coming decades. Also, interns will get a chance to help with garden design and implementation. We will also be designing a perennial garden, building soil and planting fruit trees. This work of creating about a 1/2 acre garden from scratch will be ongoing, weekly work. Dropping trees from the forest on site and processing them into timbers for construction. Framing the structure using round wood timber frame techniques with hand tools. Building cordwood walls with clay mortar for insulation and structural support. Installing off grid utilities such as solar panels and rain catchment systems. Maintenance of a community garden in town with the Boys & Girls club. Hosting classes and tours on site on how to build soil using the “lasagna method”. Hands on classes to install off-grid utilities. Guided work days with visitors of various ages and ability levels. Blueprints of systems we design and build. Drawings of techniques of building soil. Written suggestions of methods of organizing community. Lesson plans for kids in the gardens. Our summer internship has three openings. The primary focus of our selection process are people under-represented in the dominant sustainability movement culture: people of color, religious minorities, low-income people, women, and members of the LGBTQ community. Previous experience is not required, but a passion for the environment, social justice, and a commitment to helping others (especially helping children, the elderly, those with special needs, and the socio-economically marginalized) is a must to be considered for this opportunity. People from communities who would benefit most from the skill sets we offer are the ones most often locked out of the workshop culture, even when costs are sliding scale. The main goal of the UGC is to offer these skill trainings for free to dedicated participants who will utilize the skills gained to help others, and also pay those participants a small stipend for the work time they lose. Individuals will receive a stipend of $1500 for the 8 week course. Installments of $187.50 will be given at the end of each work week (Fridays) until completion of the program. This year’s summer internship is from June 24th to August 18th, 2017. Prospective interns must fill out the online application. A phone interview will be conducted. Chosen applicants must be able to commit to a visit to the UGC prior to the start of the program for an in-person interview and a tour of our site to make sure it is a good fit for both parties. Be able to commit to a 8 week, living on-site program. Be responsible, on time, clean, and conscientious of others. This is critical because we are sharing spaces, tools, resources, and ideas. Have an open mind for new experiences and perspectives, and show emotional maturity when dealing with people different than themselves. Be able to participate in academic classes. Although we can differentiate the workload based on ability, reading, discussing, analyzing, note taking, and writing about critical ideas in history, politics, social theory, and environmental science will be a component of this course. Be able to participate in strenuous physical activities that may require lifting a minimum of 40 pounds, bike or walk long distances (10 miles max), hike, and work outdoors in the summer months during various weather conditions. Have more than an introductory understanding of the concept of privilege and possess an interest in multicultural education, intersectional social justice, community organizing, and mutual aid. Be able to share common space, help in preparing common meals, and participate in clean-up. Accommodations: Two cabins are available on the property; one for a single occupant, one for two occupants. Cabins are to be kept clean and orderly at all times. Aside from the cabins, all other spaces on the property are common-spaces, including the outhouses, sheds, and an outdoor shower. Please consider your needs for personal space and privacy (especially when it comes to sharing the outdoor shower). Personal items such as electronics and toiletries that are brought into the common areas must be returned to the cabins after use. 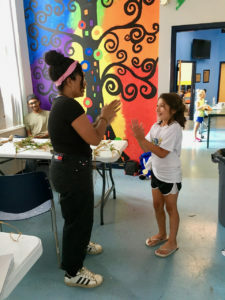 Interns are expected to follow the UGC’s rules for clean up after meals, keeping the common areas clean, and rules for laundry and cabin upkeep. -bicycle, reusable water bottle (no disposables), sleeping bag and extra blankets/pillow, work clothing that can get messy, clothing for going out into the community – dress for the weather: sometimes it’s hot during the day but cool at night, water proof work boots, comfortable sneakers for walking and biking (it’s good to have multiple shoes in case a pair gets wet so you have something dry to wear), lots of socks, towel, rubber flip-flops for the outdoor shower, bug repellant/tick repellant. *If you have trouble getting any of items on this list please contact us and let us know, we may be able to help. *Rules on Toiletries – Only biodegradable toiletries are used at the UGC. Natural toothpaste, unscented soaps and shampoos that are biodegradable will be provided by the UGC. If interns want to bring their own toiletries these items must be checked to make sure they fit the UGC’s standards for biodegradability. The UGC is a tobacco, alcohol and drug free environment (this includes in the cabins and throughout the grounds). We believe in communication that is timely, open, and honest while also being respectful of diverse identities, lived experiences, and perspectives. We are committed to the practice of mutual aid and establishing a community of giving. With this comes a change of narrative – consciously moving away from asking “What can I get?” toward asking “What can I give?” instead. A goal of our work at the UCG is to challenge the compulsive use of smartphones and consumption of media. We request that all participants on our grounds be fully present and engaged during our work day and common times by staying off their phones. Pet Policy: There is a farm dog that lives on the premises. No other pets are allowed on the UGC grounds during the internship. Transportation: Interns who have their own car will be given designated parking. Please note – biking will be the primary mode of transportation during the internship. There is a Trailways bus to travel long distances outside of the town and rides can be arranged on a needed basis or for an emergency. Meals/Dietary Restrictions: The UGC has a covered outdoor kitchen space. We will provide ingredients for three meals a day. Interns are expected to participate in commonly prepared meals. Applicants should list dietary restrictions upfront. Guest Policy: As this is an intensive 8 week program, we ask that interns do not bring guests during the work week. Interns may have a guest on the weekend but must discuss this with UGC staff at least one week prior. Media: We will be documenting our work throughout the internship via video and photos to be shared on our website. Please let us know of any specific restrictions or ways you want your identity to be shared publicly.